A valid, signed US passport. The passport must have at least 6 months remaining after the completion of your stay in Cambodia, and contain at least one blank visa page. A tourist visa is valid for a period of three months beginning from the issue date. It is good for a single entry for a duration of 30 days staying in the Kingdom of Cambodia. The tourist visa may be extended for a maximum period of one month. 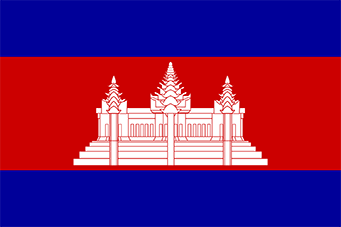 The CAMBODIA tourist or business visa is usually valid for a single entry for a stay of up to 30 days, from the date specified as “Date of Entry” on your visa application form.